Because I've been too sick to do the male characters' voices in MSSA, I've decided to cast someone else for the roles. - Good mic quality (not much muffling/background noise or none at all). - Reliability (Don't flake out on us when we really need some lines done). - Way of contact (Email/Skype). 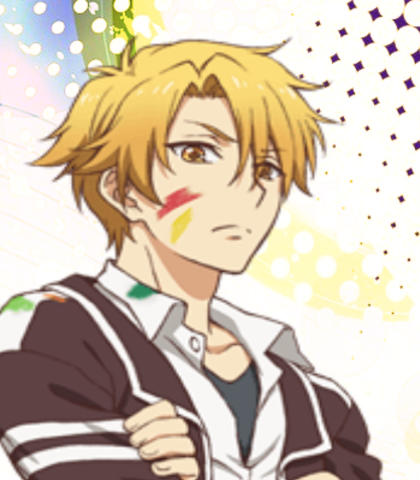 Kyoma is a third-year who is representative of the Art Club. His blunt attitude has caused most to fear him, but he can also be kind and is good at taking care of others; he also loves to drink milk. Both his face and uniform are always covered in paint. 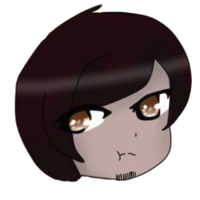 His ability is "Palette Barret", which lets him use paint to attack. Don't judge me for my milk addiction. You've inspired me, Eruna! My thrive to paint is at its max once again thanks to you! Yuto is a second-year who is the representative of the Drama Club. He is always smiling, and he is adored by the Drama Club members, who are known for being like a large family. 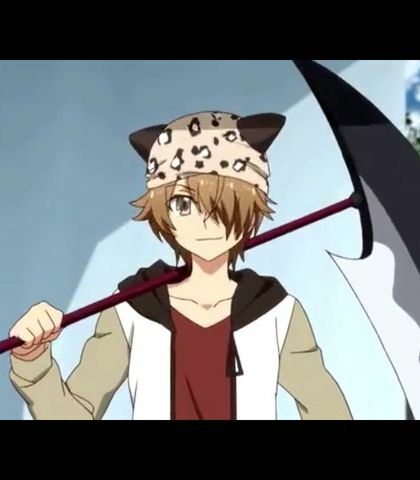 He is always carrying a scythe, which is actually just a prop. His ability is "Coup d'etat Faker", which lets him create illusions to fool his opponents. Whats going on, man. Youre so loud." *pause* "Im Yuto Akama, the Drama Club rep. Nice to meet you. Have you gone to the Astronomy Club yet? Theyre okay, but not as cool as Drama. This is my special attack, Coup d'etat Faker (pronounced Coo-de-ta Faker). Im messin with your eyes and mind, right. 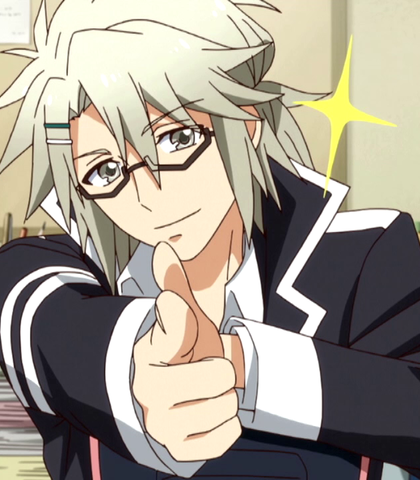 Sadamatsu is a second-year who is both the leader and representative of the Flower Arranging Club. He also seems to be spaced out, and shows no interest in anything. His ability is "Selfish Flower", which lets him manipulate plant life. Do you like my beautiful flowers, little redhead? Indeed. My manipulation of plant life is quite beautiful. A crane." *pause* "Now, let us fly away. Flap, flap, flap. Eruna's cousin, a third-year who is the representative of the Manga Research Club. He is very attached to Eruna, and tries all sorts of ways to get closer to her, but he has not succeeded even once, and it seems that she is only avoiding him more and more. His ability is "Hero Time" which lets him create mid-air platforms in order to swoop in for a hero-like rescue. 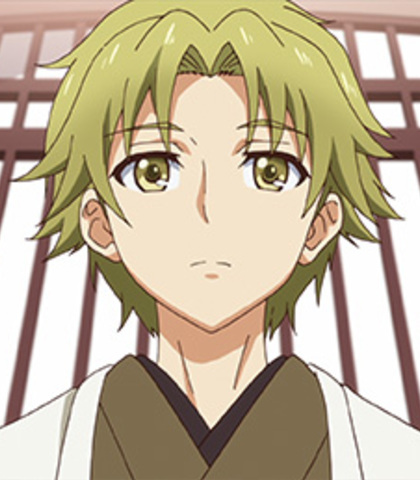 Shigure is a descendant of the original Ninomiya. So you're looking for a school to enroll in? 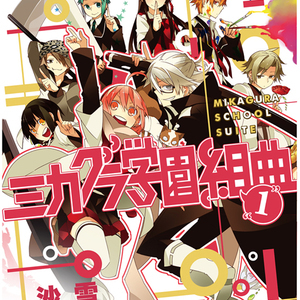 Why not my school, Mikagura Academy? It's a school that revolves around cultural clubs, like mine, the Manga Research Club, where I'm prez.